Halloween is just around the corner and whether you are crafting at home with your kids, throwing a party for the occassion, or simply looking for some interesting things to do with pumpkins, we've put together a few of our favorite Moomah Halloween Crafts to inspire and get you in the spirit of the spooky season. 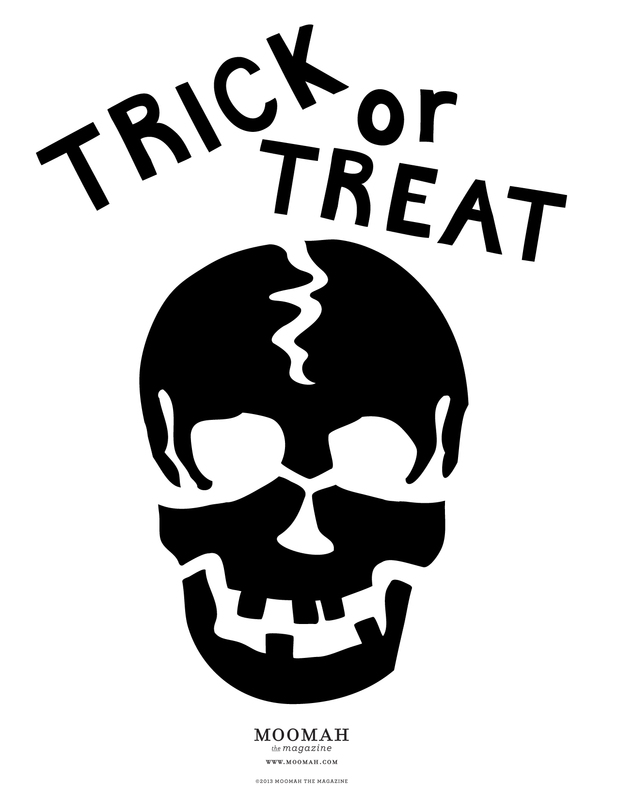 Nothing says Halloween like a creepy looking skull. 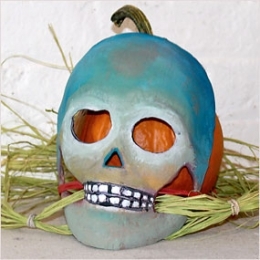 Buy a paper mache skull mask and paint it to make it your own. We like to add a little bit of color to our mask instead of leaving it all white, with shades of blue and green seeming most appropriate for a skull. Remember to make sure those creepy teeth stand out by outlining them with black paint. Poor misunderstood black cats. They really are just as cute and cuddly as the rest. Make them your halloween companion this year. It's easy! 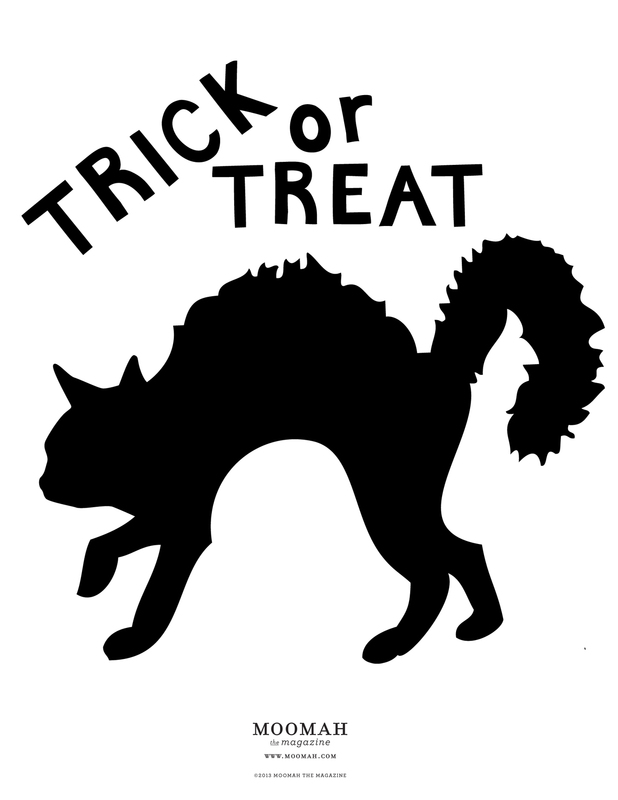 Use our black cat template as a stencil for your pillow. 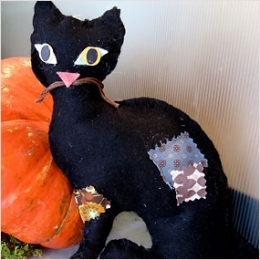 Using black felt as the base, follow the appropriate instructions from our Pet Pillow craft to sew your pillow together. 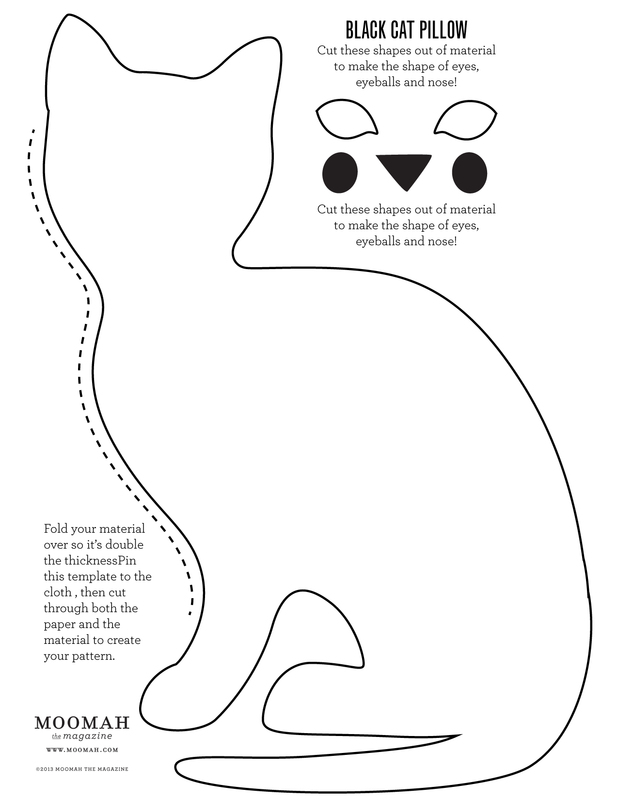 Make eyes, whiskers and a nose for your cat. 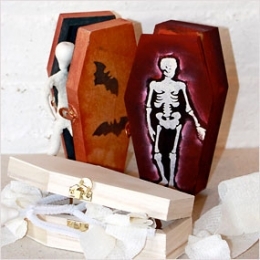 Decorate a wooden funeral coffin for your graveyard scene. Paint your funeral coffin and then decorate it further with bats, spiders and spider-webs for effect. We like to hide a creepy skeleton inside our coffin and maybe even fill it with some orange candy corn for fun. Try to make your own skeleton out of white pipe cleaners and cloth or buy a plastic stretch skeleton to squeeze inside. Let them gather as much candy as they can in their personalized trick-or-treat bags. Dye the bags using different colored dyes. You may choose to dye the whole bag one color, or mix it up by using different colored dyes to color separate sections of the bag. 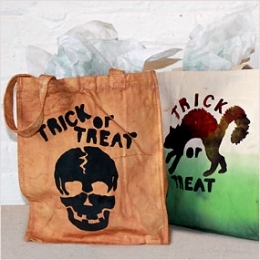 Once dry, use our Skull Template or our Cat Template to create a stencil for painting onto the front of the bag. If your kids have taken an interest in all the different shapes and sizes of pumpkins we see around this time of year, consider using them as a muse for still life painting. 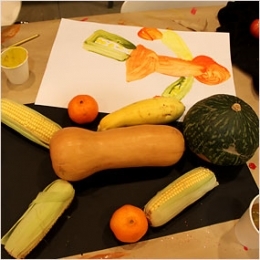 Kids can have so much fun playing with the different vegetables and using their imagination to turn a plain old object into a work of art. Once their picture is formed, have them paint it as a still life image just like the greats do! 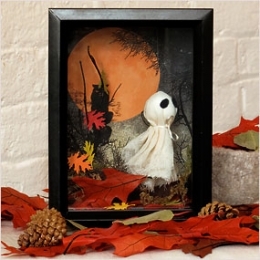 Create a Halloween scene to display all year round. Measure the back of your shadowbox to add a background with dark blue and black paper, a big yellow moon and some tree branches. Fill it with fall leaves. To make your ghost, take one small foam ball, cover it with a square piece of white fabric, tie a thin piece of string beneath the ball to form the head and add some black fabric as eyes. Use clear jewelry cord to hang your ghost from the roof of your shadowbox. How could we let a Harvest Issue go by without a pumpkin loaf recipe?